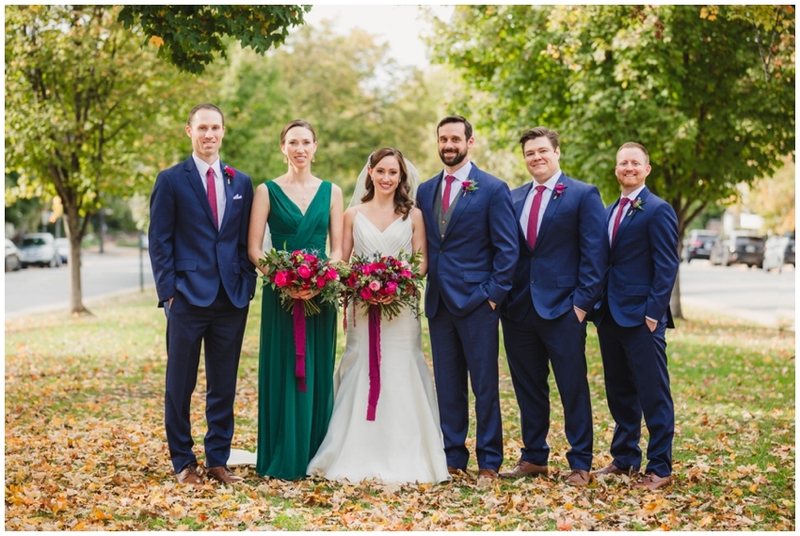 Before this month passes us by, I have another confession… I recently discovered one of my favorite October weddings from last year got stuck in the black hole of updating and redoing my entire website and NEVER. GOT. SHARED…!? The most elegant and classic jewel toned color scheme carried through the entire day. 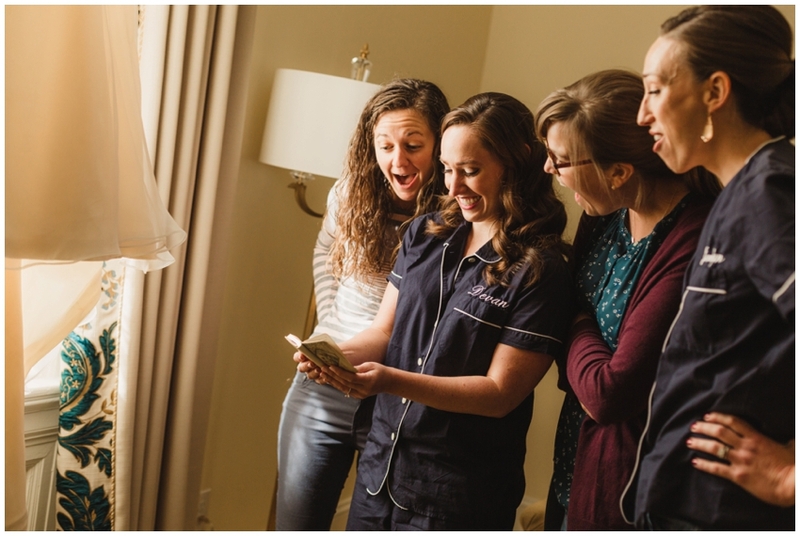 Guests received a save the date with foxes dancing and Devan and her brother and sister (one of our 2016 brides!) spent the morning relaxing in adorable navy personalized pajamas. 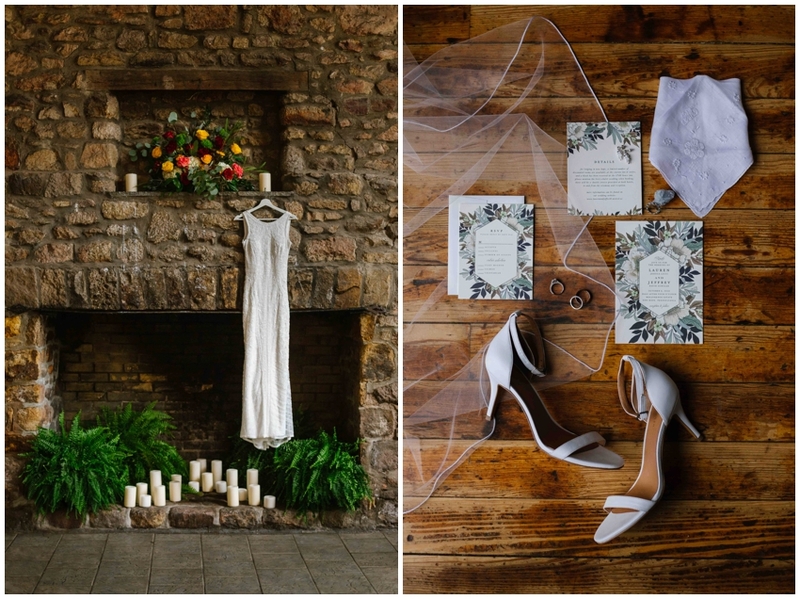 The bride wore a Hayley Paige wedding dress with 2 different sparkly shoes (JCrew flats and Badgley Mischka heels!) 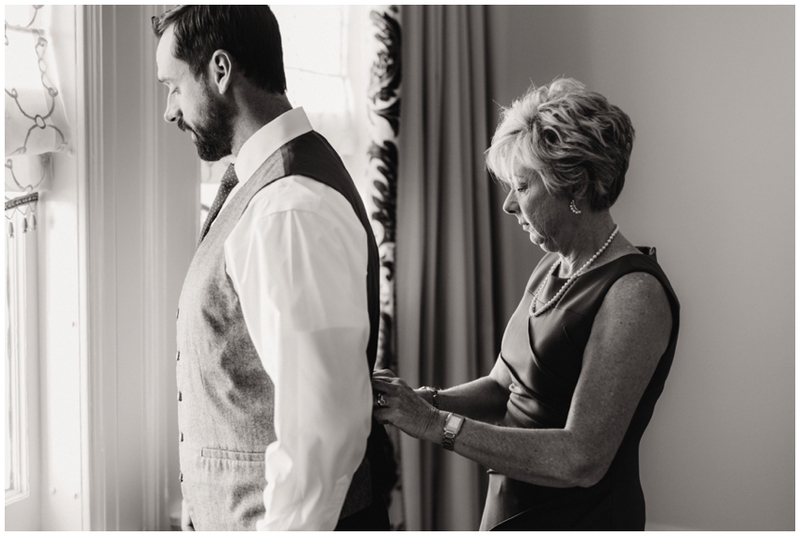 and the groom wore a navy suit with the most dapper gray wool vest holding his maroon tie in place. My favorite portion of the day was when we spent time at 3 different iconic Richmond portrait locations together with Devan, Bryce and their bridal party. The skies were a perfect cloud-filled yet bright blue and the leaves were crunching underfoot… and these two beautiful people were radiating so much joy and love the entire time! Fun masks were ready for guests to wear at the reception since it was 3 days before Halloween… obviously and the open air reception space was full of string lights, crumbling plaster and palms overlooking the Shockoe Bottom Downtown District. So much to love that I’m going to stop talking and just share this incredible Richmond, VA wedding day with you! I was so excited to have it featured on Hill City Bride to show off all of the planning and design that Devan did herself; not to mention, she and Bryce set aside 3 hours of portrait time for us to travel throughout the city of Richmond to iconic locations that were meaningful to them. We started at Monument Avenue, then headed to Brown’s Island Walkway and ended atop Libby Hill Park. I had never been to any of these places before and we managed to capture some of my absolute favorite portraits ever… some soft and romantic, some bold and edgy, all memorable and super sweet. 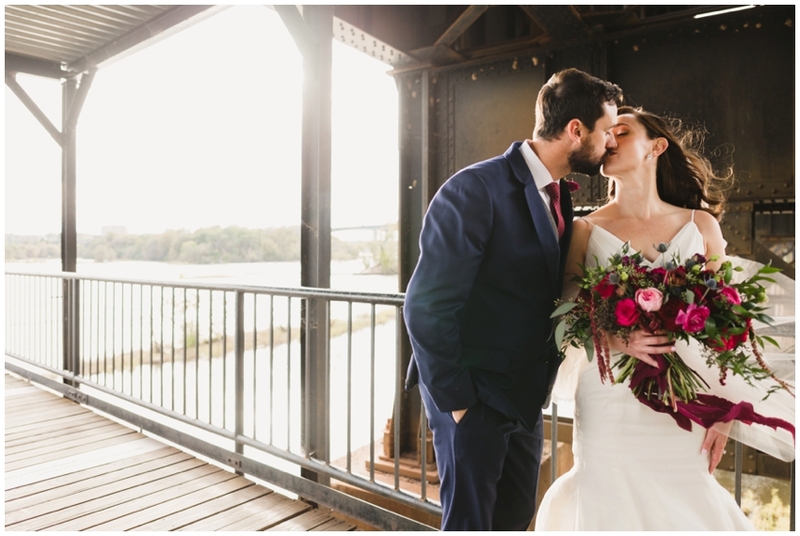 We had so much fun being a part of your memorable day and can’t thank you enough for showing us how incredible Richmond is as a city and a place to fall in love! Cheers to you and your entire family!